Well, after a couple of years of thinking, talking, and planning – we are now back at the Farm for good 🙂 We’ve left the rat race to become farmers, and to set up the yurts! We moved late June, and things have been non stop since! Mark has been busy getting into the farming life, and we’ve finally submitted the planning application for the yurts, after a few delays along the way with wildlife surveys etc. that were necessary for the application. 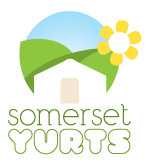 We hope to hear back from the planners towards the end of August, and all going well, we will then crack on with setting up the yurts, and converting the Dutch Barn into kitchen and bathroom facilities for guests.